Temporomandibular joint disorder refers to a group of conditions that lead to pain and dysfunction in the temporomandibular joint. Also called TMJ, this disorder is common and believed to affect about 10 million Americans, many of them women. Our TMJ dentist in West Hollywood can diagnose and treat this painful condition to restore full health to the jaw joint. Symptoms of TMJ include pain in the chewing muscles or the joint. The muscles may be stiff and limit movement, and the jaw can become locked in an open or shut position. 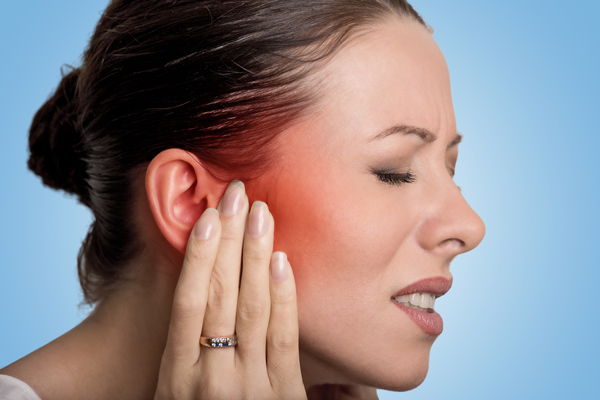 The joint can click or pop, and these noises will be accompanied by pain or discomfort. Radiating pain in the ear, neck, shoulders and back is common. The cause of TMJ is not always known, but the disorder can be associated with arthritis or trauma to the jaw joint. It may also be associated with bruxism or overuse injuries. Once you have an accurate diagnosis, we can create a customized treatment plan that addresses your specific symptoms and the underlying cause of your TMJ. Conservative options include a soft diet, ice packs and rest. Medications and stress-reduction techniques can also be beneficial. Depending on your needs, a night guard, bite splint or other oral appliance may be needed, and some patients can benefit from additional therapies. Although surgery is only rarely needed, it can be used if a known injury or abnormality is the cause of your dysfunction. Call our office today to learn more about TMJ or to schedule your consultation with our team.